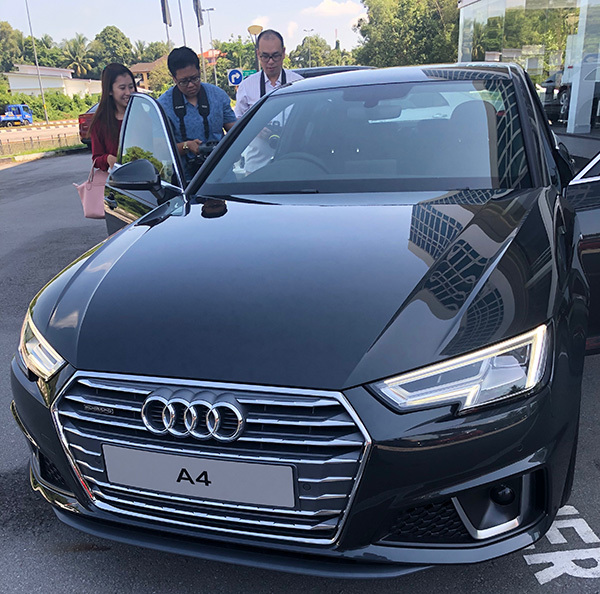 The 2019 model year sees the A4 Sedan with newly designed bumpers, which together with the new wheel designs accentuate the sporty character. 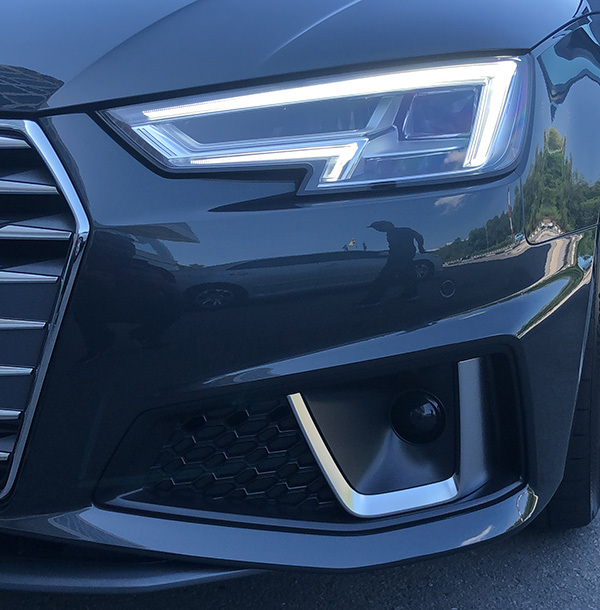 In the new model year, the Audi A4 stands out with a more striking front-end from the design and sport lines. Powerful, pentagonal contours surround the exterior air inlets – aluminum-look bars structure their inside. The S line exterior package features new bumpers with a sportier look. Their pronounced wedge-shaped design makes them even more eye catching. A U-shaped clip separates the exterior and the interior area, which is finished off with a honeycomb grille. Separate openings in the air inlets guide a portion of the airflow into the wheel housings, where it flows past the wheels. 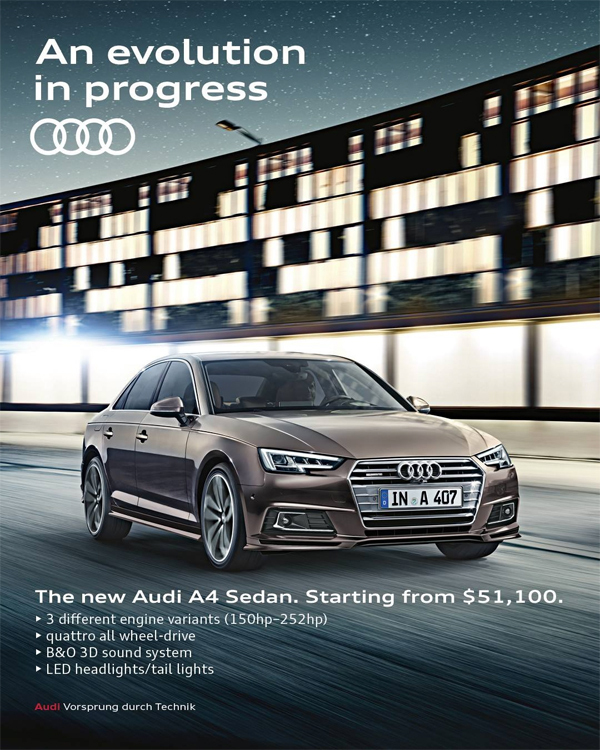 The new Audi A4 is currently available with a 2.0 turbo 252hp engine with the latest quattro all-wheel-drive technology. 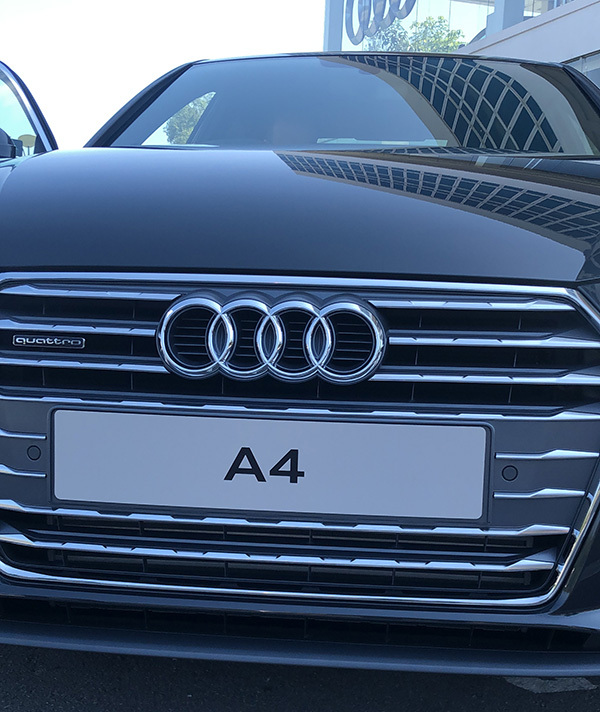 Compared to the previous model’s tech equipment, the improved A4 now comes additionally with Audi’s Virtual Cockpit display, MMI navigation plus, side assist blind spot detectors and pre-sense rear collision protection system. This makes it more than a dozen driver assistance and car technology in one single Audi model. 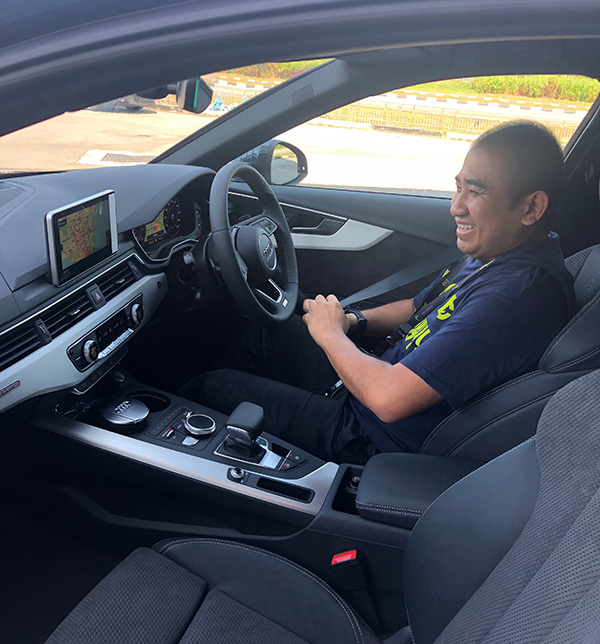 A 1.4 turbo 150hp variant will also be available soon for the Brunei market. Please visit their showroom at Kiarong and also follow @audibrunei on Instagram for updates. 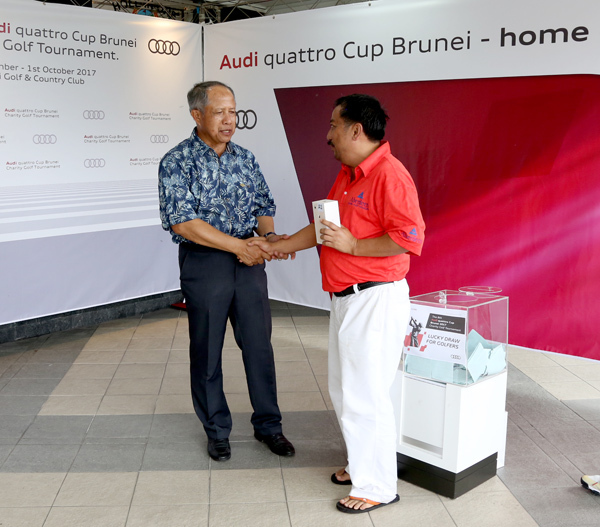 It’s time of the year again as Audi (Brunei) will be hosting the 9th Audi quattro Cup Brunei 2018, a charity golf tournament. 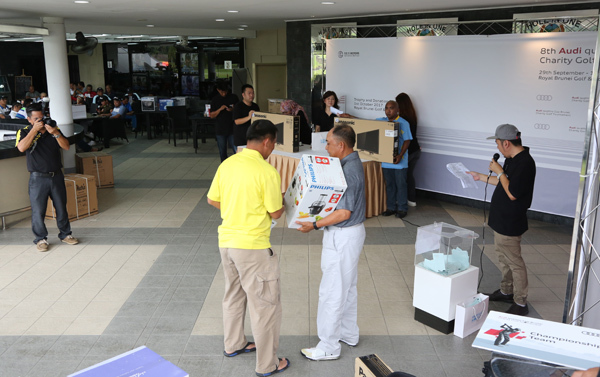 The event will happen on the 20th to 22nd July at Royal Brunei Golf & Country Club, Jerudong. 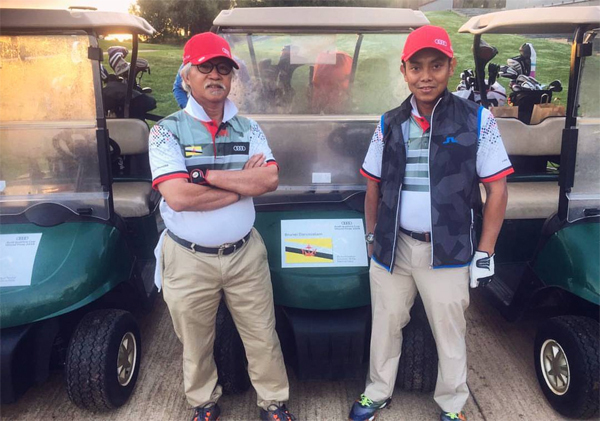 All golfers’ registration fees will be donated to the An-Nur Harapan Sdn Bhd, Community Service Council Belait District, Dana Pengiran Muda Mahkota Al-Muhtadee Billah for Orphans, La Vida Bhd, Learning Ladders Society, Pusat Ehsan Al-Ameerah Al-Hajjah Maryam, Seed Foundation Sdn Bhd and SMARTER Brunei. 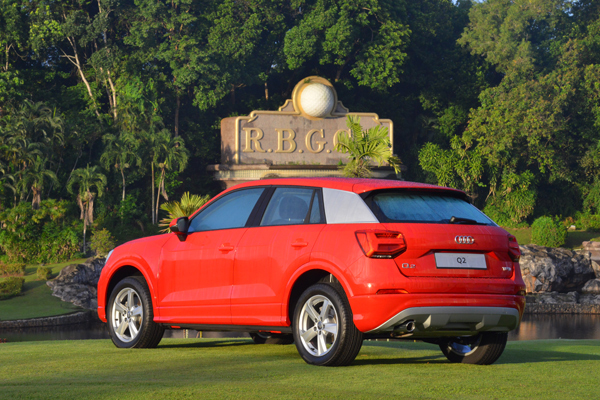 Registration is now open at Audi Kiarong. Entry fee is BND 240 per team and format of play is Greensome Stableford (best ball). 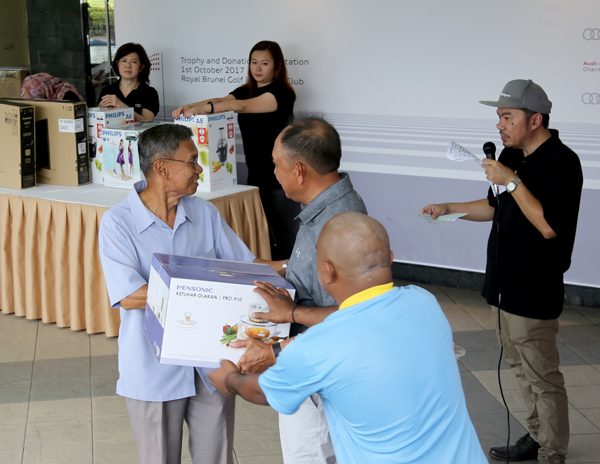 Lucky draw for all registered golfers included during prize presentation. Closing date is 17th July 2018. 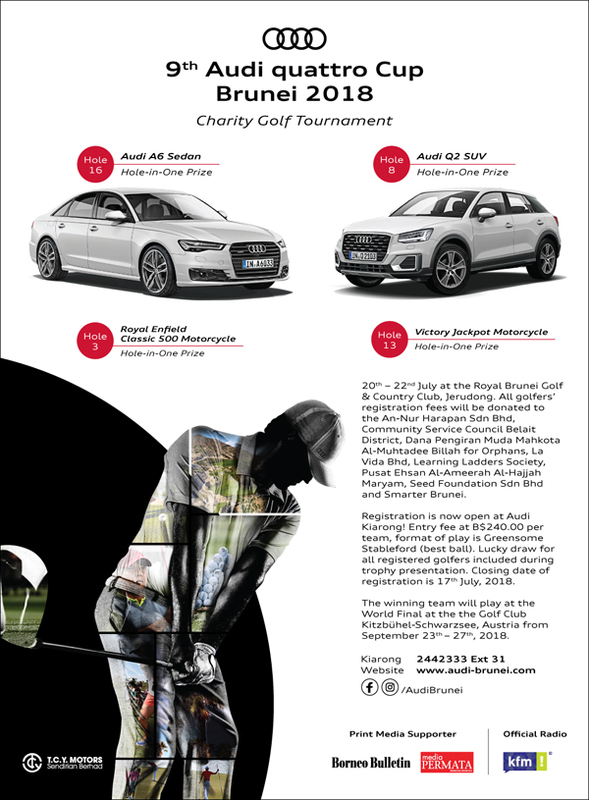 There will be hole-in-one prizes such as the Audi A6 Sedan (Hole 16) or the Audi Q2 SUV (Hole 8). The winning team will play at World Final at the Golf Club Kitzbühel-Schwarzsee, Austria, from September 23rd to 27th, 2018. 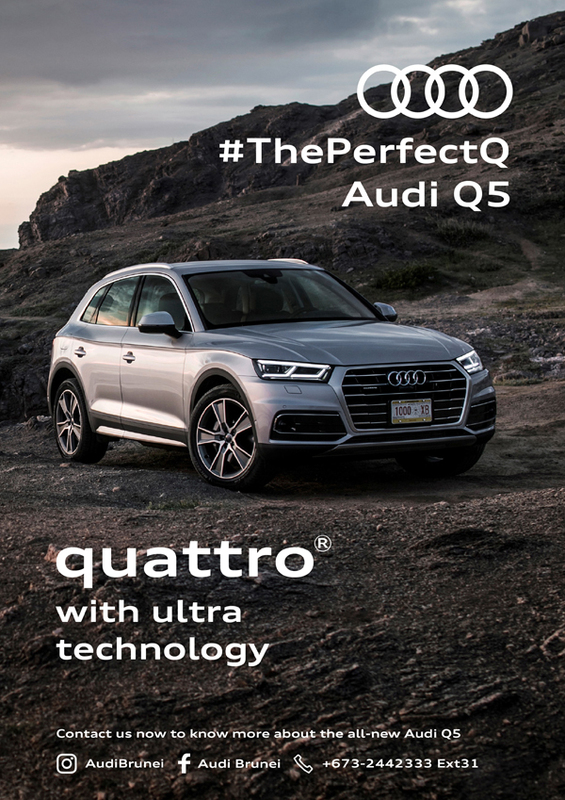 The all-new Audi Q5 comes equipped with quattro ultra technology. The quattro with ultra technology combines driving dynamics with efficiency and helps to cut consumption by up to 0.3 l/100 km. By switching between four-wheel drive and the more efficient front-wheel drive, four-wheel drive is used whenever the driving situation calls for it. The predictive operating strategy activates within a matter of milliseconds. Actively controlled torque distribution constantly monitors the drive forces and distributes them between front and rear axle to suit current conditions i.e. whatever the driving situation calls for. Torque vectoring assists when cornering by enhancing traction and dynamics. Targeted braking of the inner wheels increases drive torque at the outer wheels. With this new technology, Audi has developed an all-wheel drive system optimised for efficiency, which feels just like permanent systems in terms of traction and driving dynamics. With the new ultra technology, it is designed to set the standard in its class for fuel consumption and CO2 emissions – particularly under everyday conditions. T.C.Y. 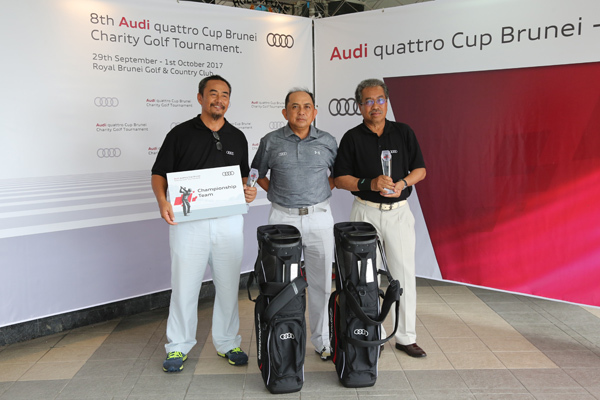 Motors Sdn Bhd as the sole dealer/importer of the Audi brand once again organised the Brunei edition of the Audi quattro Cup amateur golf tournament at the Royal Brunei Golf Club in Jerudong last Sunday. It was the eighth year of the Brunei edition. 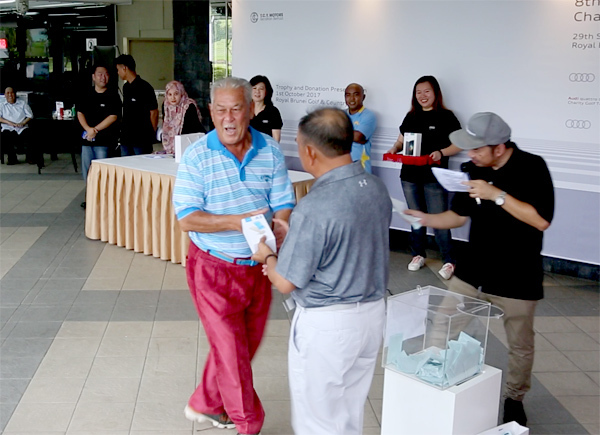 The highlight of the tournament took place this afternoon with trophies and donation presentation at the venue. The team of Latif Ghariff & Hj Mohd Som with 43 points were declared the Championship Team for this year’s three-day tournament. 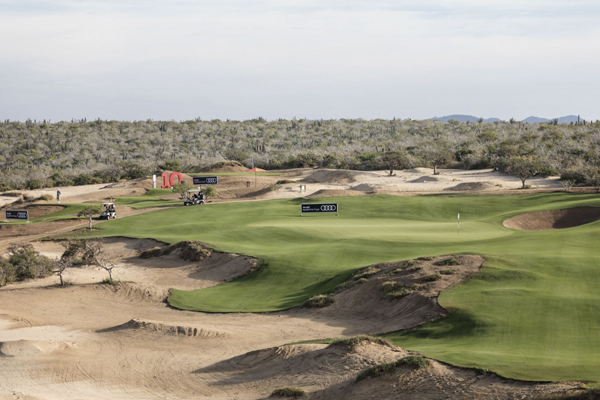 They will qualify for this year’s World Final in Mexico from December 1-5 at the Quivira Golf Club Los Cabos. Pg Ahmad Zaki Pg Jambol & Kim Wonk Yang with 42 points OCB – 2nd place. Hj Amir Osman & Pg Saiful Rizal with 42 points – 3rd place. Trophies were presented by Yang Berhormat Pehin Datu Lailaraja Mejar Jeneral (B) Dato Paduka Seri Haji Awang Halbi bin Haji Mohd Yussof – the Minister of Culture, Youth & Sports. 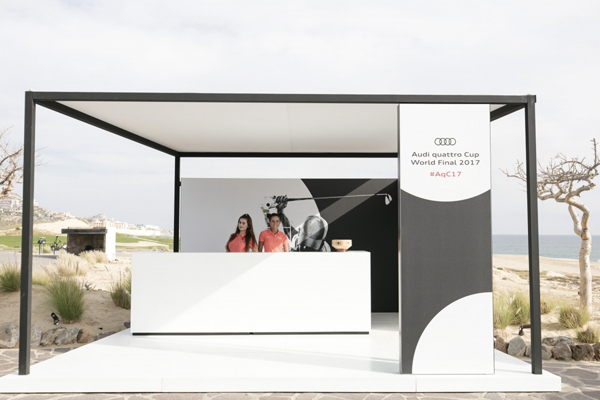 Mainly organised by a country’s Audi importer, 51 teams from 47 countries this year will play in what has been billed as the world’s largest amateur golf tournament. Over a million golfers have played in the tournament since its inception in 1991. Over 90 teams of golfers participated this year in the eight local edition of this global amateur tournament. 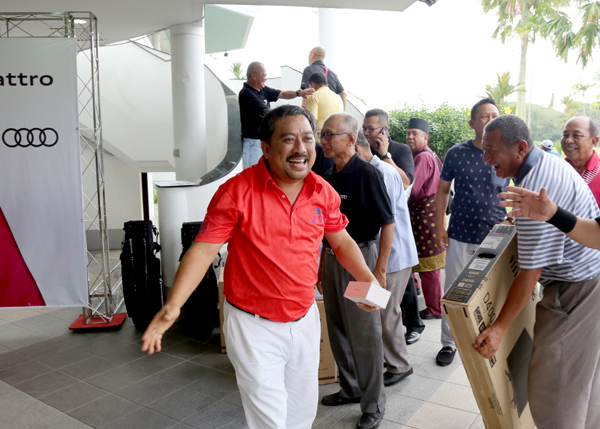 As a charity event, over B$21,000.00 was collected from all golfers’ entry fees was donated towards the National Welfare Body Fund under the Community Development Department (JAPEM) with a mock cheque presented by the Organizing Committee co-Chairman Haji Ya’akub bin Haji Jumat to Yang Berhormat Pehin Datu Lailaraja Mejar Jeneral (B) Dato Paduka Seri Haji Awang Halbi bin accepting on behalf. 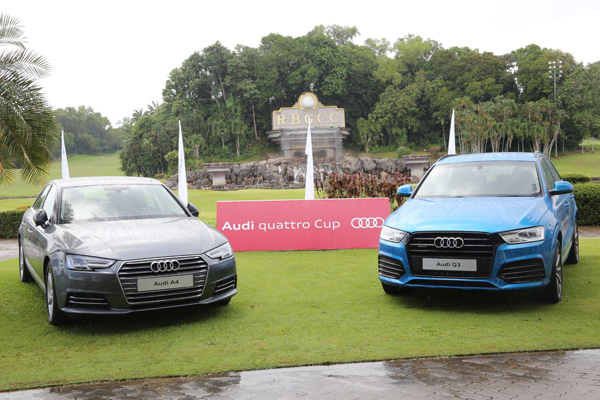 The Audi quattro Cup is a team format amateur tournament utilizing the Greensome Stableford or ‘best ball’ rule of play, this is ultimately to increase the whole golfing experience as most tournaments are played by individual golfers. The moon rover Audi lunar quattro celebrates its film debut in Ridley Scott’s sci-fi blockbuster “Alien: Covenant” which premieres worldwide this May. Audi experts have developed the Audi lunar quattro in cooperation with the German start-up “Part-Time Scientists”. It will soon embark on an actual mission to space. Director Ridley Scott has integrated the Audi lunar quattro into “Alien: Covenant,“ a new chapter in his groundbreaking “Alien” franchise. The crew of the colony ship Covenant, bound for a remote planet on the far side of the galaxy, discovers what they think is an uncharted paradise, but is actually a dark, dangerous world. When they uncover a threat beyond their imaginations, they must attempt a harrowing escape. In its film debut, the Audi lunar quattro is an integral part of the Covenant mission and is deployed to help Faris (Amy Seimetz) navigate and assess the challenging, unknown terrain of a new planet. The Audi lunar quattro is preparing for an actual mission to the Moon. 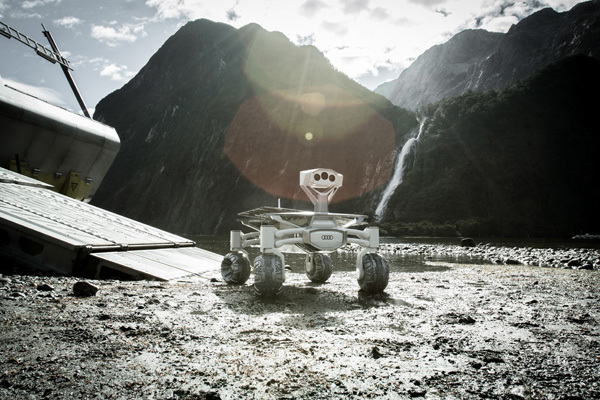 Since 2015, the premium manufacturer from Ingolstadt has worked with a team led by Robert Böhme, founder and CEO of “Part-Time Scientists”, on developing the rover. 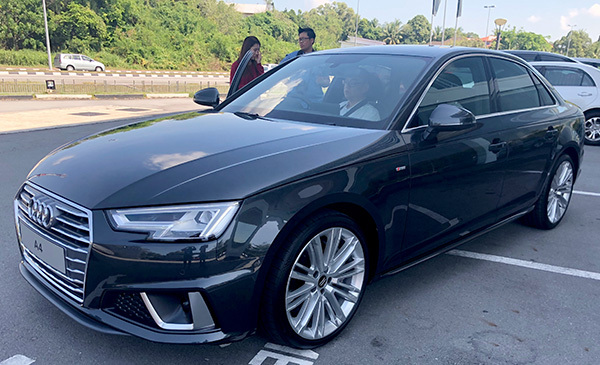 Audi experts have supported the Berlin-based start-up, in particular with Audi’s all-wheel drive expertise (quattro technology), expertise in lightweight construction, experience in developing vehicles with electric and plug-in hybrid motors (e-tron), and with design optimization. By selecting the finest materials, the developers have managed to reduce the weight of the exploration vehicle to just 30 kilograms. The Audi lunar quattro is 85 percent aluminum, produced by the 3D metal printer at Audi’s headquarters in Ingolstadt. A pivoting solar panel supplies the rover with energy. 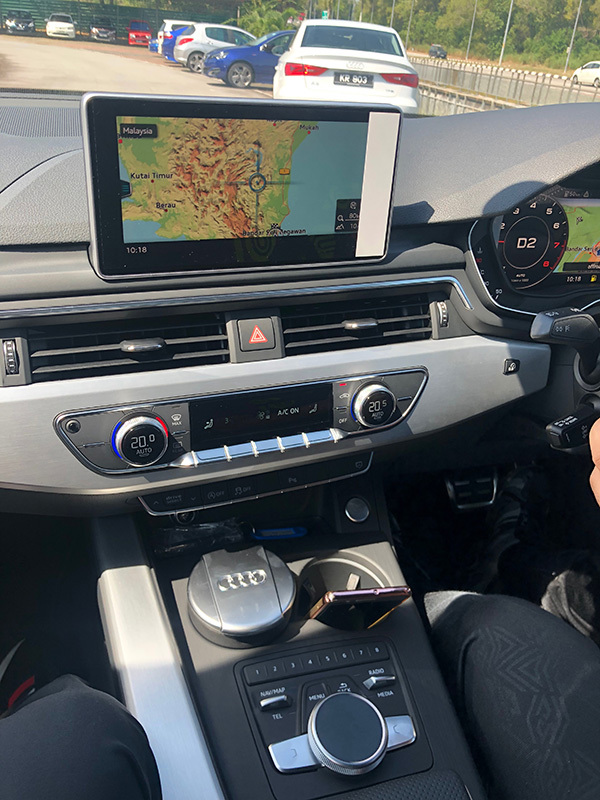 On top of that, you have intelligent quattro drive technology and the efficient e-tron motor. The car manufacturer’s Mission to the Moon is nearing completion: In the very near future, we can expect to see the advanced Audi lunar quattro set its course for the Moon. For more on the story of the Audi lunar quattro’s origins and the cooperation with Twentieth Century Fox, visit on www.audi.com/mission.